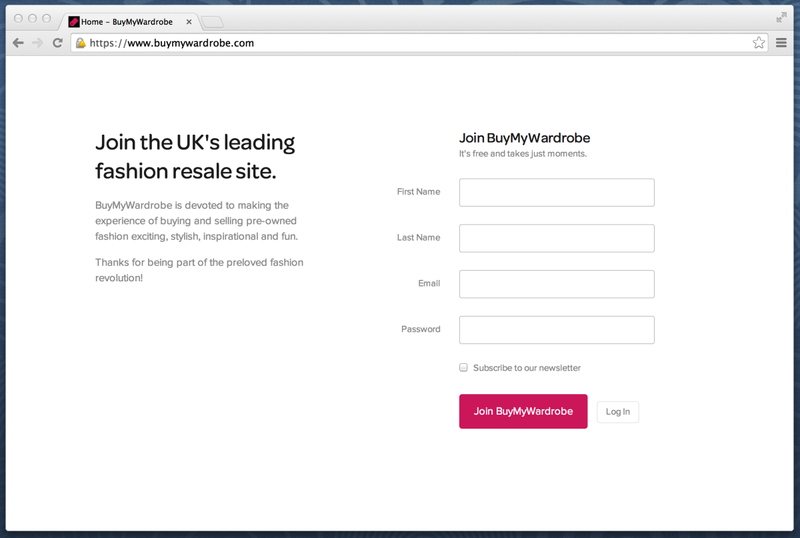 Go to https://www.buymywardrobe.com and click the "Join BuyMyWardrobe" button. Fill in the form, making sure to provide an email and password, which you'll use to log in next time. If you'd like to receive our newsletter - which includes regular updates on new products, offers and an inside look at BuyMyWardrobe - check the box labelled "Subscribe to our newsletter". 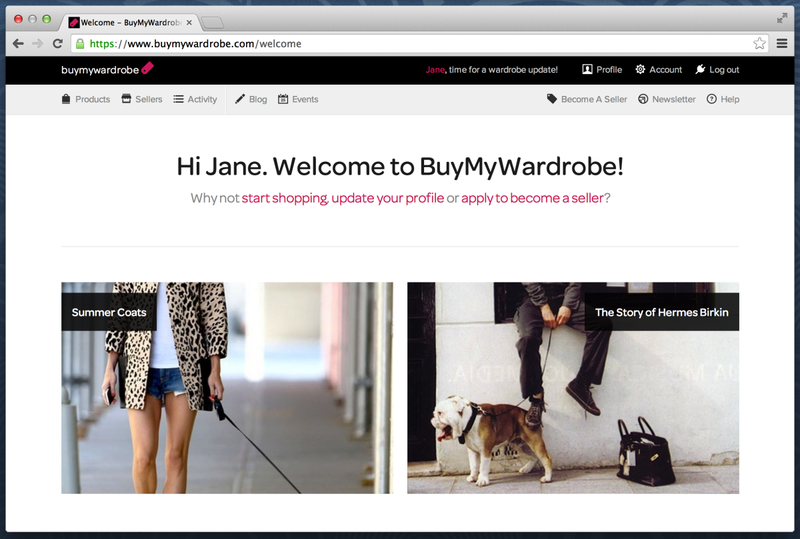 If you entered everything correctly you should arrive at our welcome page - thanks for joining BuyMyWardrobe! You can now start exploring our thousands of products and sellers.